Sand and Stars Resort and Motel - New Owners & Newly Renovated! Sand and Stars Resort and Motel of Curtis Michigan offers a year around 4 unit motel. 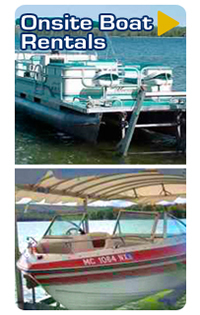 We are located on beautiful South Manistique Lake. Stay at our Upper Michigan 4 unit motel. Each room comes with two full-sized beds, comes with a refrigerator, microwave,coffee maker, WiFi and cable television. Sand and Stars resort is nestled on 2 acres in a park like setting. Our sandy beach with crystal clear water offers endless fun for adults and children alike. With a shallow swimming area and playground, safe entertainment is just a step away. >> Click here for more of our Upper Michigan Motel Photos. We also feature a coin operated laundry room. 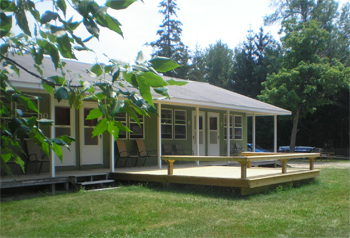 Two and three bedroom cabins are also available. Each is assured to provide you with a peaceful and enjoyable retreat. Four Clean and Comfortable Motel Rooms: Inside newly furnished with new flooring. 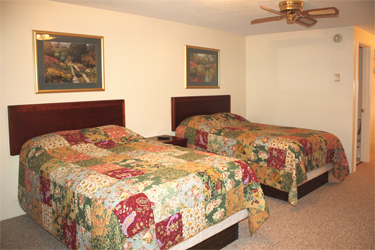 Our four unit motel, with two full- sized beds, comes with a refrigerator, microwave, cable television and WiFi. Sand and Stars resort is nestled on 2 acres in a park like setting. Our sandy beach with crystal clear water offers endless fun for adults and children alike. Sorry no pets. With a shallow swimming area and playground, safe entertainment is just a step away. View from resort window. Your stay along the lake will be filled with breath taking views and water filled fun!